I guess, truth be told, I have always been a bit of a homebody. That is, I like to be home. My mother, to this day, still says her best and happy years were the homemaking years. The years with children and the years with baking and family times and cooking and family meals. I enjoy being home. With the children. It is not an exaggeration. But one thing I do not enjoy – dragging the children out on a wintry cold day for silly errands or must-have groceries. Therefore, we buy our milk in bulk and then freeze it. We freeze and can as much as possible. Also, we try to avoid quick runs to town and think through the grocery list a little more in details. Items that can be done without are crossed off the list. And if I can make it at home, I will. Before you start, you need room temperature oil, eggs and lemon juice. I use our Baby Bullet to do the mixing. 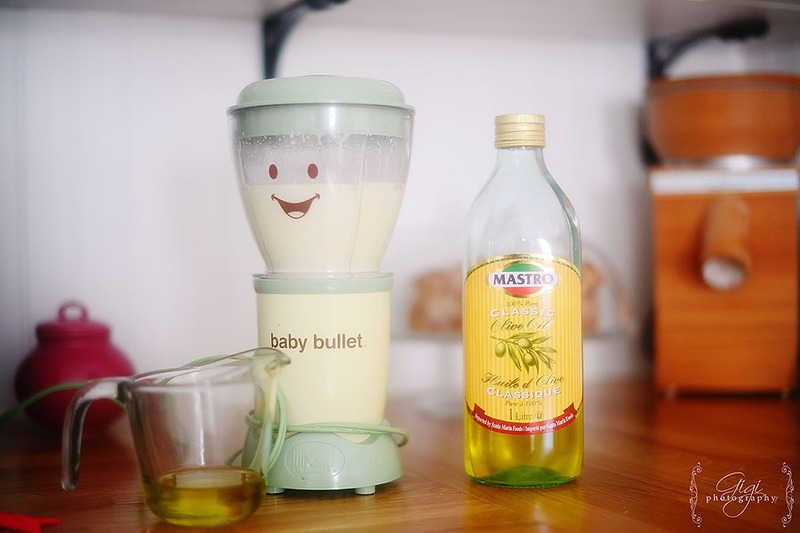 Mix all ingredients – but only a 1/4 cup of oil- into the mixer together. Blend it right up. Then slowly, slowwwwwwwwwwwly …. very slowly …. drizzle in the remaining cup of olive oil and mix with each addition. A little bit a time. Slowly drizzle. Mix. Slowly drizzle. Mix. With patience. 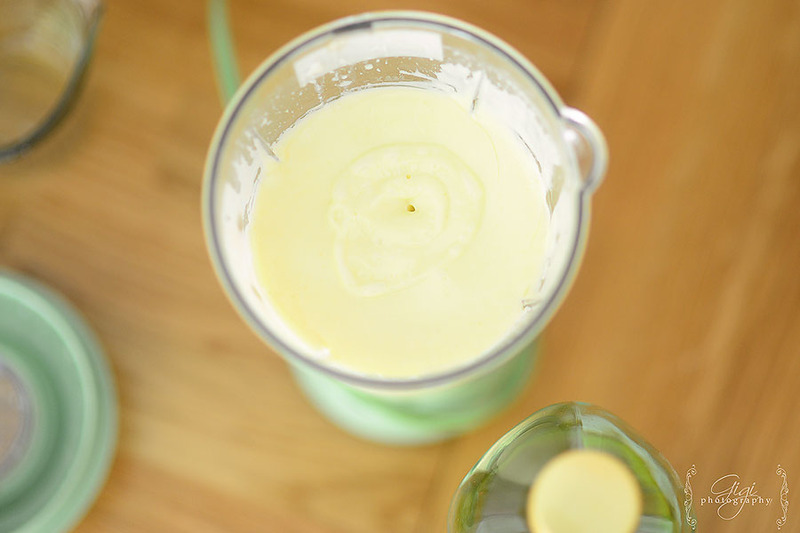 It will take three-five minutes to drizzle the remaining olive oil into the mixture while mixing. 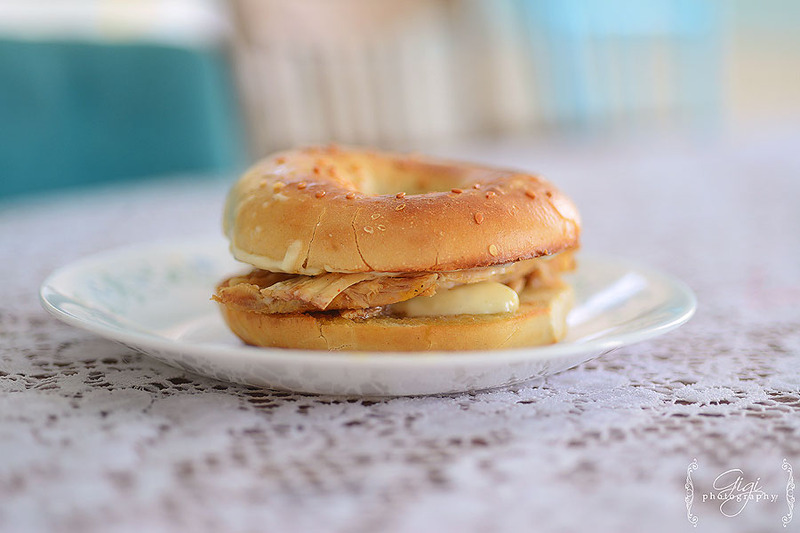 Let me know if you try the recipe and how you like it! 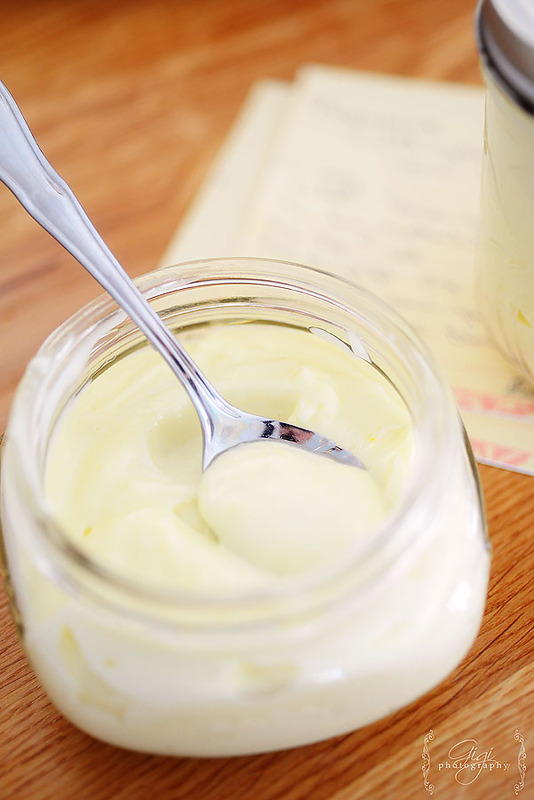 You may never buy store-bought mayonnaise again! 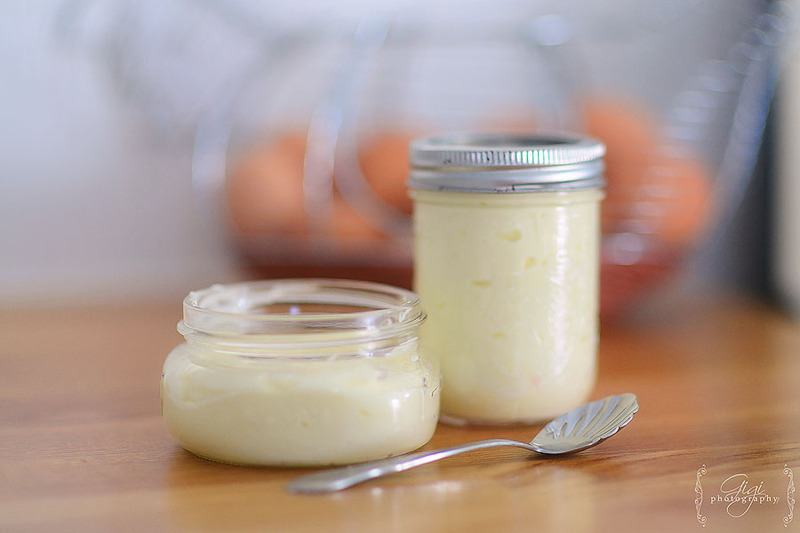 Lauren – I tried homemade mayo with EV Olive oil and it was TERRIBLE! So I think I need to try this again. PS I too just love being home with my little ones, I would not change one thing! Good question! We have stored it up to two weeks before it was all gone- but only make small batches (the amount you see in the photo – two jars) so we do use it up quickly. As with most homemade items, I would not think it will keep for as long as a store bought (have you ever seen mayo go bad from the store? Makes you wonder!). I have read online only that some keep homemade mayo only a week or so. I would suggest making it as you need it. monicacseiler@gmail.com – How long will this mayo last in the fridge?